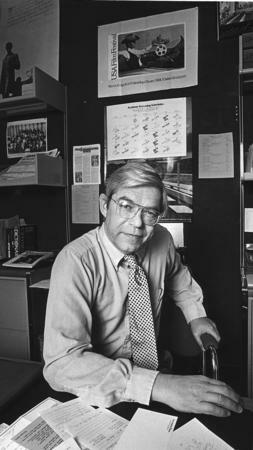 Champlin’s television career began in 1971 when he hosted the weekly Film Odyssey on PBS, introducing classic films and interviewing major directors. He has interviewed hundreds of film personalities, first on the Z Channel’s On the Film Scene in Los Angeles, then with Champlin on Film on Bravo Cable. As a film critic, Champlin had many fans among the elite of Hollywood, including actor Jack Lemmon. Director Arthur Hiller, then-president of the Directors Guild of America, offered his praise in 1992, when Champlin received an honorary Life Member Award from the guild. Champlin once estimated that he saw 250 movies a year and reviewed half of them. He taught film criticism at Loyola Marymount University from 1969 to 1985, and was an adjunct professor of film at USC from 1985 to 1996; and has also taught at UC Irvine and the AFI Conservatory. He graduated from Harvard University in 1948. He served in the infantry in Europe in World War II and was awarded the Purple Heart and battle stars. 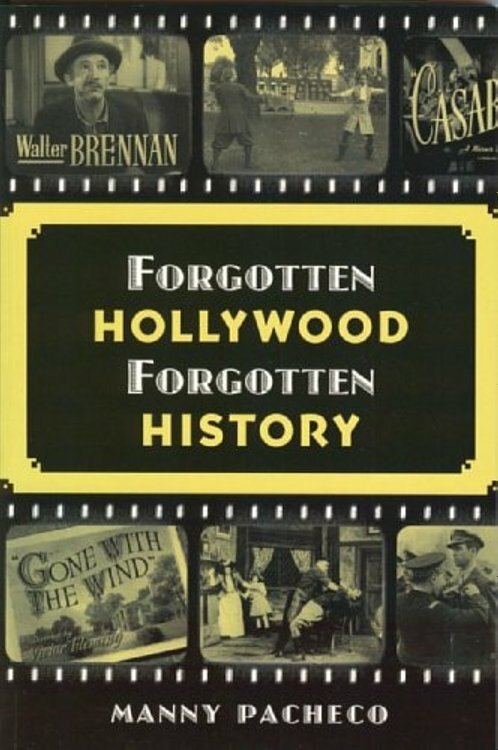 Forgotten Hollywood Forgotten History can be found in a new institution of higher learning. Fordham University at the Lincoln Center is a close-knit intellectual community of faculty and students located in the heart of New York City, conducted in the Catholic and Jesuit tradition of education. Their Quinn Library now carries the paperback on their shelves. It’s the 88th repository of books, and the 106th overall, of the Forgotten Hollywood book series. Notables who have attended this fine school: Andrew Cuomo, Vin Scully, G. Gordon Liddy, Charles Osgood, Vince Lombardi, Denzel Washington, Alan Alda, Geraldine Ferraro, Dylan McDermott, and Bob Keeshan (better known as television’s Captain Kangaroo). Also, Virginia O’Hanlon, who as a youngster, wrote a letter to the New York Sun that prompted the famous response, Yes, Virginia, there is a Santa Claus. This entry was posted on Monday, November 17th, 2014 at 8:27 pm	and is filed under Blog by Manny Pacheco. You can follow any comments to this post through the RSS 2.0 feed. Responses are currently closed, but you can trackback from your own site.